My sweet little dog turned nine in April! I taught her to “beg” when she was just a pup, and she has used this tactic to her advantage ever since. This entry was posted in Pets and tagged beg, Dog, pet birthday. Bookmark the permalink. She is so beautiful! Happy belated birthday to her and happy WW today! Oh she’s adorable! What kind of terrier is she? 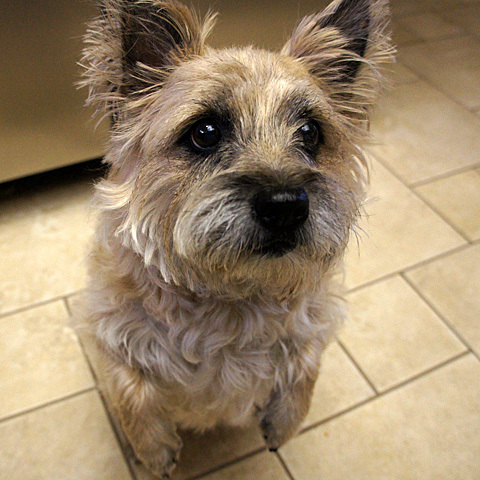 She’s a cairn terrier, and is truly an amazing little dog! A belated Happy Birthday and good job on learning “beg.” It’s the best trick ever! Happy Birthday! Looking great at 9! Oh how cute – another Cairn Terrier! She’s adorable! Mom says we age way to fast! I am already 6 and my sis will be 11 next month. Every age has something great to go with it, but sometimes it would be nice to freeze time. Happy Wordless Wednesday! Oh how I would truly love to freeze time with this one! She is just the absolute best and sweetest little dog EVER!